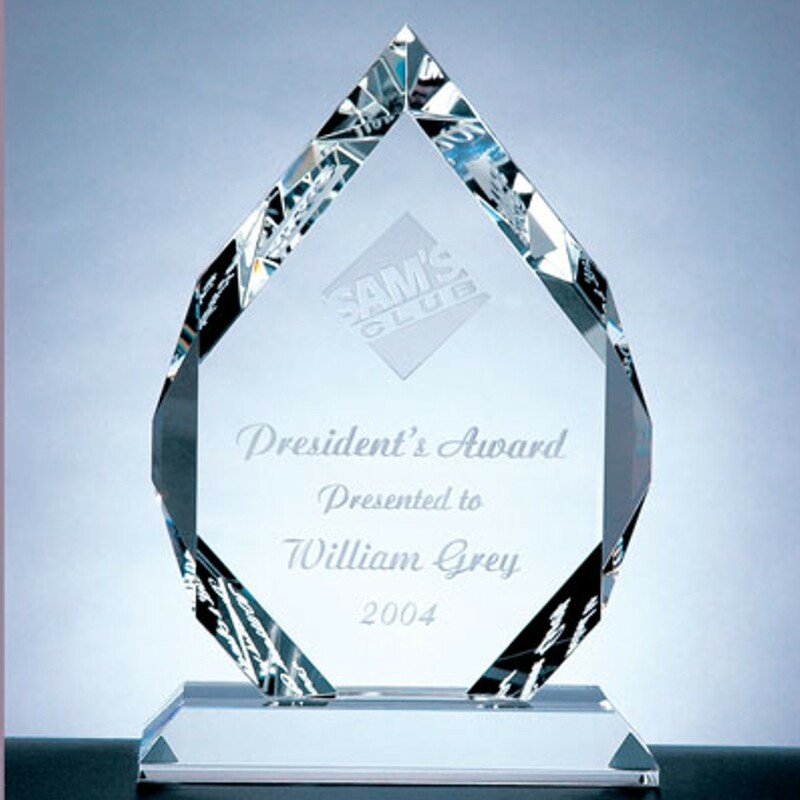 The Classic Diamond Crystal Award has gorgeous cut edges to catch the light and will be a stunning addition to your awards shelf. The beveled base adds the finishing touch. 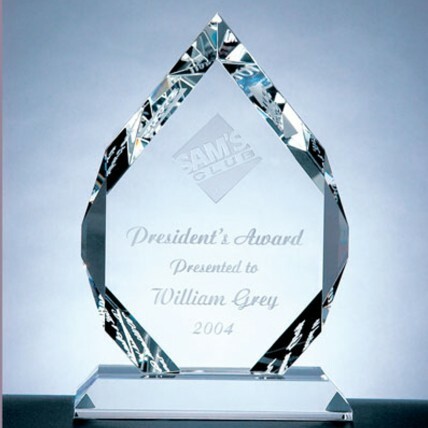 Add your company logo and text and this award is unbeatable. Professional etching and a foam gift box included.